A new road course race track operation is opening just off an airstrip down California's Interstate 10 between Coachella Valley (Palm Springs) and Blythe. Desert Center had been famous for mining, a fuel and food stop on the way to either LA or Phoenix, and Palm Trees planted in a circle (gone fallow) to attract attention to passing motorists. Get off and head North toward Highway 62 at the intersection of Interstate 10 and 177 and after four miles turn right at the sign heralding the "Chuckwalla Valley Raceway - Bringing the Future to you!" On April 23rd, members of the automotive press from all over the Southwest were invited to preview this new private racing facility and learn first hand what might be involved in starting up a new racing operation when some tracks might be shutting their doors in economic hard times. First impressions and the attentions to detail leave one with the feeling that this effort will be a resounding success. 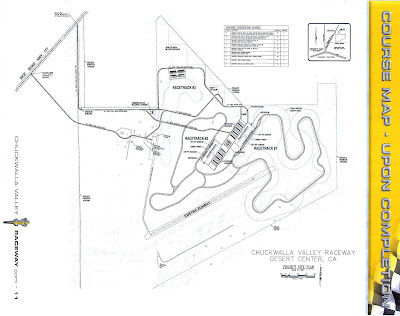 Chuckwalla Valley Raceway (CVR) is planned to be Southern California's premier automobile and motorcycle racing, training, and testing road course race track facility. CVR occupies 1,100 acres that is completely fenced and secured. 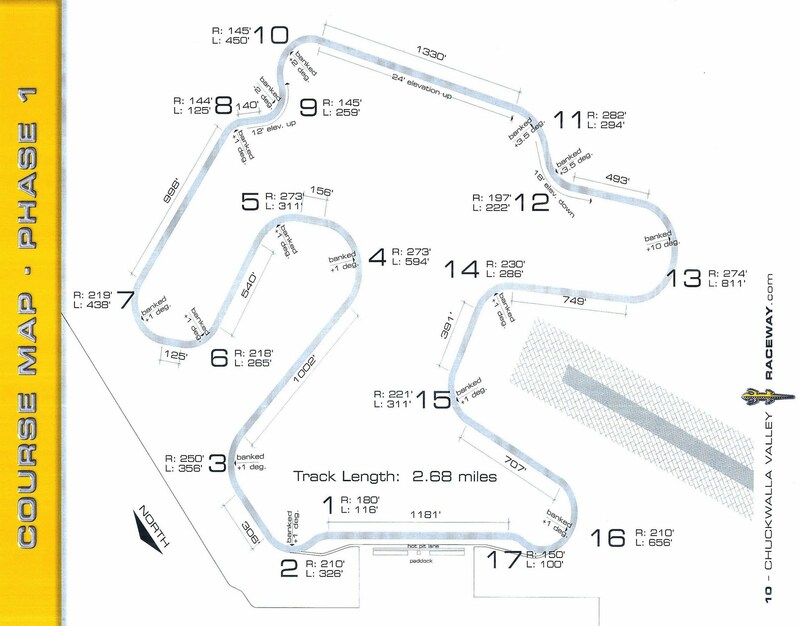 The facility currently has one road course track operational that is 2.68 miles long (a little longer than the old Riverside International Raceway) and features seventeen (17) turns, is 40 feet wide, multiple elevation changes, a couple of double apex turns, a long banked turn, and a tricky three turn off-cambered section that mimics (to a lesser degree) the famed corkscrew at Mazda Raceway Laguna Seca. 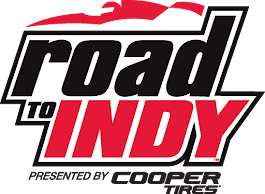 The track was designed by internationally known motorcycle racing school operator, designer, and author ("Features of Race Track Design") Ed Bargy. 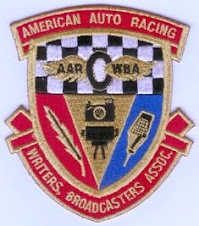 This connection to racing motorcycles is no accident, the President of CVR, Micky Grana, has been working to build and run a first class racing facility for about 15 years and this dream and drive came from his love of having talented drivers pilot sophisticated two-wheeled vehicles in very fast competition on curvy roads ... safely. It is a passion that comes through every aspect of CVR including the black and yellow roll curb that is at every turn on the track, one that can be run in either the traditional clockwise as well as counterclockwise operation safely because of the design and execution of the track build. Over the next 18 to 24 months, Chuckwalla Valley Raceway plans to develop into a complex that will have two more operational tracks. Track No. 2 can be combined with Track No. 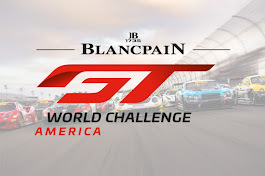 1 to form a long track of 4.3 miles, making it one of the largest single road course racing and testing track available outside of Road America (14 turns at 4.048 miles) at Elkheart Lake Wisconsin ... pretty ambitious. Track No. 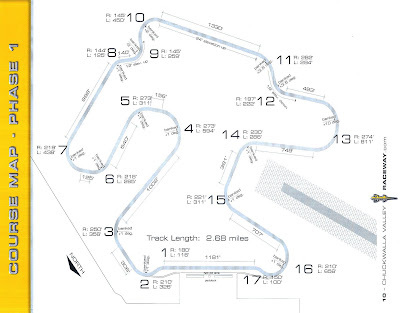 3 is in a preliminary design specification to be a stand-alone road course that is 2.2 miles long. Since one of the corporate officers is a pilot, CFO Matt Johnson has done some investigation into the prospect of holding airship races around the complex ... after all, there is an airport (Desert Center Airport [L64]) right next door that has a 50 foot wide runway that is 4,200 feet long. According to the Bureau of Land Management (BLM), the rental of the small space to put up the large air filled pylons for the airships to guide on for the racing course is minimal. The Red Bull Air Race World Championship event was discussed, along side the main pit-wall that separated the front straight from the paddock, by one of the owner/drivers of a vintage open-wheel formula car (A Ralt RT5 Super Vee once campaigned by Roger Penske) and Matt Johnson. It turns out that this owner/driver was a competitor in the Red Bull "challenge" and felt that CVR would make a perfect venue, in that, it would be one of the few courses that would be run on dry land - most are run on courses set up in large ocean harbors (Perth, AU / San Diego, CA, USA). 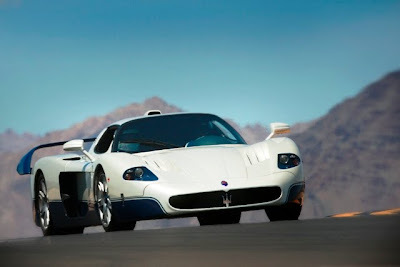 One of the cars that was attracted to the event, and garnered the most attention, was an extremely rare Maserati MC12 Stradale of which only 50 street legal models were produced and of those ... only two have ever made it to North America. The very proud and capable owner of this beautiful and rare piece of automotive performance art, Douglas Magnon, just happens to be the President of the Riverside International Automotive Museum (RIAM) which houses one of the largest collections of Maserati automobiles anywhere. As the RIAM site puts it - "RIAM's MC12 is the centerpiece of its 28 example Maserati Collection, one of the most complete assemblages of production Maseratis in North America ... Supercars, racing cars, and a couple of Maseratis!" Lunch offered some of the best BBQ sandwiches, served up from several lengthwise-cut 55 gallon drum BBQ pits, to be had this side of Kansas City. Big T's BBQ (an operation run by Tony), the on-site caterer, chief, and evening security guard contractee, had chicken and pulled pork open-faced sandwiches with a side of beans and potato salad ready by noon and all of the participants gathered in the paddock tent area. The talk about the nuances of driving (or riding) Track No. 1 filled the air as the moist and tender BBQ was raved about between bites. It turns out that CVR will contribute to the electric power grid here in Riverside County. Those in the paddock tent area were treated to a short presentation by SolFocus about how the CVR facility was to be powered . A farm of high-tech solar panels are to be put in place that will generate enough power to where CVR's needs will amount to only a fraction of what will be produced allowing CVR to sell the rest to the County of Riverside to distribute as the County sees fit. 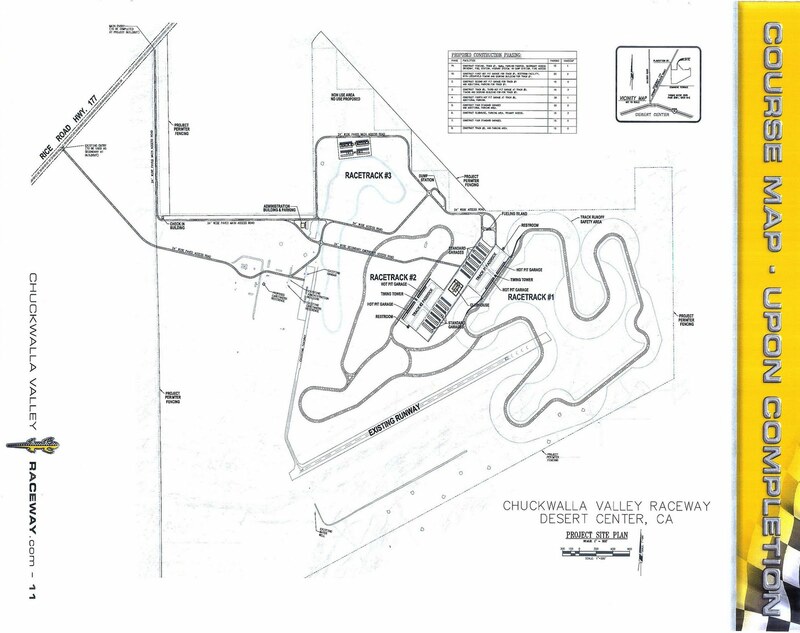 Chuckwalla Valley Raceway will be run as a membership operation where memberships in the race track will be similar to a membership in a golf course. Memberships are designed to give members additional privileges and unlimited access to the facilities. Better race track amenities equate to more exclusive membership. Monthly membership rates will vary depending on amenities and CVR memberships are available for individuals, families, or corporations. As this author first wrote to his Facebook page wall after arriving back in the Coachella Valley/Palm Springs area for the balance of this excellent desert springtime weekend - "Just came back from spending an incredible day at the debut of a race track located near Desert Center on out the 10 ... halfway between Indio and Blythe. What a perfect track, day, cars, and group of attendees! The track is called the Chuckwalla Valley Raceway and most motorsports enthusiasts will hear about this 2.68 mile dedicated road course (with a mini corkscrew feature and a long banked turn) before the year is out. Motorcycle clubs are already all over this place but it is a grand automobile venue as well."